Sam Darnold has a new backup quarterback. 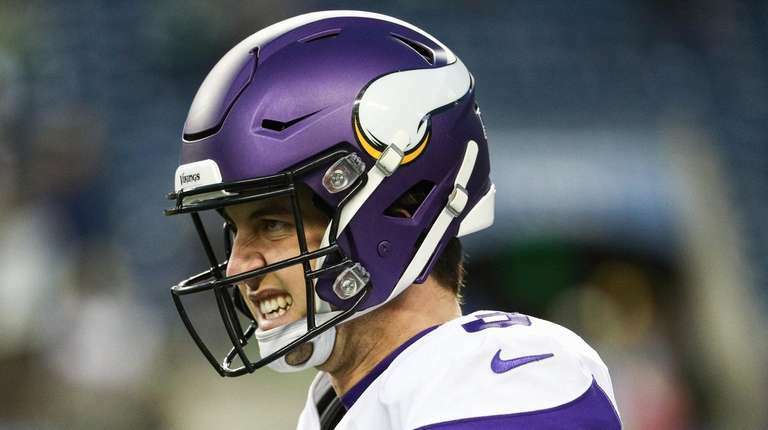 The Jets signed Trevor Siemian to a one-year deal. Siemian’s contract reportedly is worth $2 million with a maximum value of $3 million. Siemian, a seventh-round pick of the Broncos in 2015, played in 26 games with Denver over three seasons, including 24 starts. He completed 495 of 835 passes for 5,686 yards, with 30 touchdowns and 24 interceptions. Siemian, who has a career passer rating of 79.9, was 13-11 as a starter. The 27-year-old Siemian was Kirk Cousins’ backup last year in Minnesota, and didn’t appear in a game. The Jets were in the market for an experienced backup for Darnold after veteran Josh McCown said he was not ready to commit to playing in 2019. The only other quarterback on the Jets' roster was Davis Webb, who has yet to take a snap in a regular-season game.